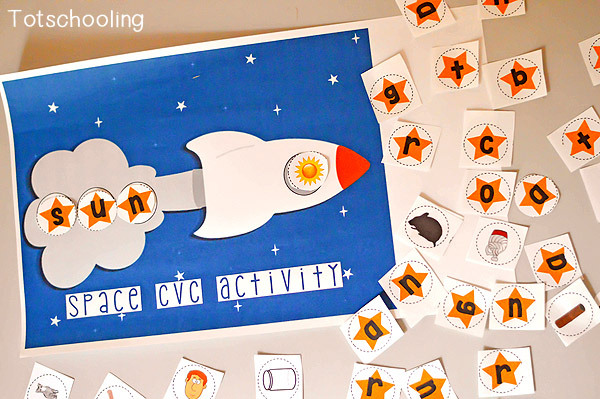 This printable is out of this world...Practice CVC word building, reading, and writing with this fun Space themed activity, perfect for kindergarten! This free printable space activity comes with a bright and colorful rocket mat, letter stars, picture circles, and a writing page to record all the words that kids build. The will practice CVC building skills, word reading, letter sounds as they sound out the letters needed for each picture to form the word, and writing skills. We have been working on CVC words here for a few weeks in preparation of my youngest's first day of school...I can't believe I am saying that. 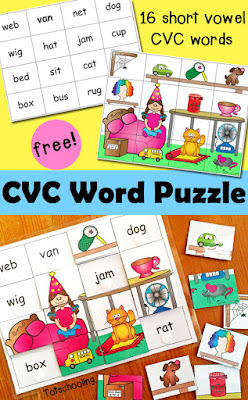 CVC words are fun for her and she loves to build new words that she can read all on her own. Making creative new ways for her to practice has been fun for me. This week we are using this fun Space rocket activity. 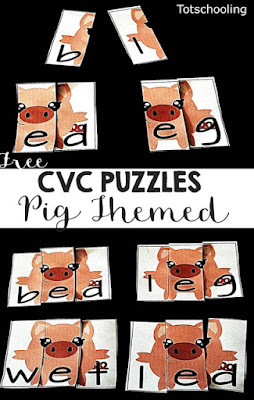 There are twelve CVC words to build with the stars! Print out the PDF pack and laminate it for reuse. Cut out the stars and image circles. Scatter these around the space rocket. Set up your writing page and place the pencil within reach. The child will place a picture in the window of the rocket. They will then form the word with the star letters. Example: the letters s, u, and n go along with the picture of the sun. After they build the word on the rocket, they will read the word out loud. Then they will record the word they built on their writing page. 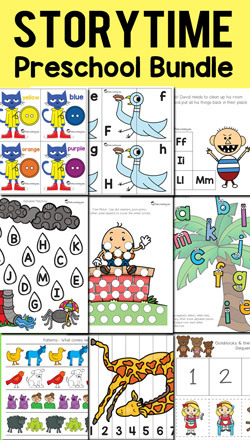 Kids will be able to build, read, and write 12 different words to go along with the pictures. 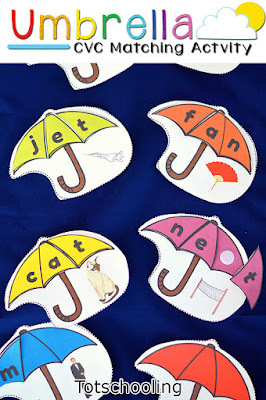 You could also see what additional words they can form with the letters, like different word families such as; sun, run, bun, nun...or bug, tug, dug, mug... and rat, hat, bat, mat, sat. 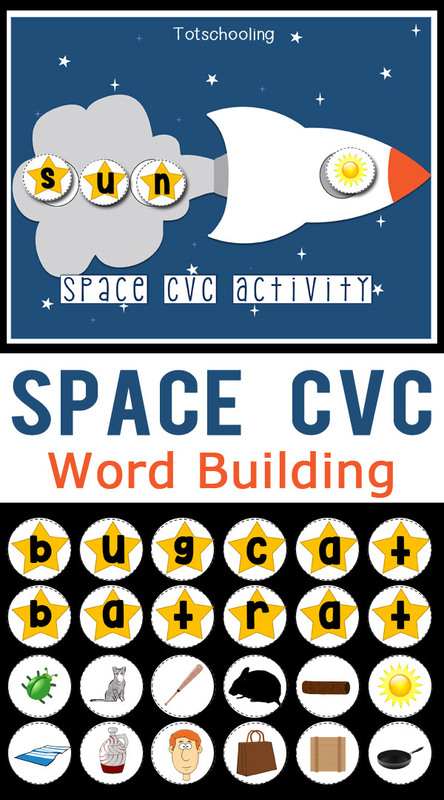 Click Here to Download your FREE Space CVC Activity! Need more kindergarten activities? 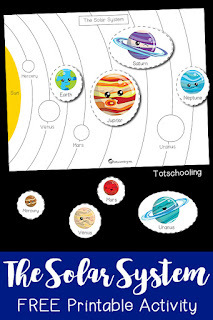 Click here to see ALL of our kindergarten printables! I'm a homeschooling mother of 3 who loves being creative. Miniature Masterminds is the blog where I share my knowledge from years of Early Childhood Education classes and past experience working with young children in the classroom, as well as being my much needed creative outlet. I love sharing free printable activities, crafts, and ideas to help others in their work with young children. Miniature Masterminds also showcases the activities I do with my preschool daughter, elementary school age son, and middle school daughter in our home education journey. Such a great activity! I love to use it but wish I wasn't limited to the 12 words. Any way there is a full alphabet available to make our own words? or an expansion pack of sorts? Would love to have more versatility with this fun but well used activity!